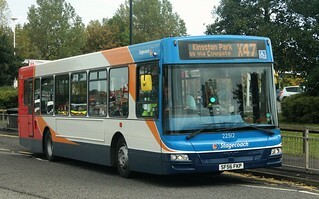 This vehicle has entered service at Slatyford Depot. 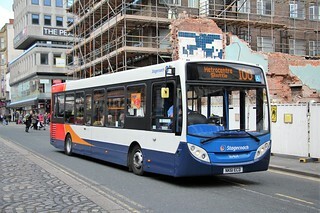 Prior to entering service, this vehicle has been repainted into Stagecoach's corporate livery. 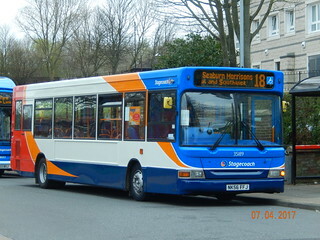 A number of East Lancs Kinetic bodied MAN 18.240LF vehicles have been released from Stagecoach Yorkshire as a result of service changes to bus services in South Yorkshire. 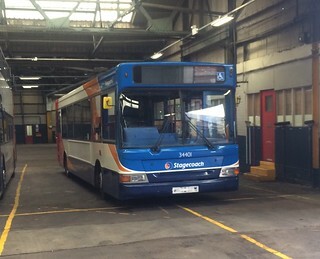 This vehicle has been acquired by Stagecoach North East and is currently undergoing preparation for service at Stagecoach in Sunderland's Wheatsheaf Depot. 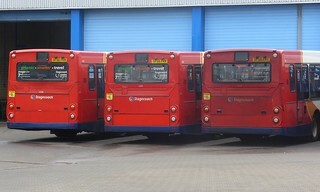 It is believed that these vehicles will be allocated to Stockton Depot, replacing older MAN 18.220LF/Transbus ALX300 vehicles. 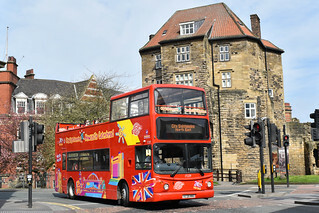 Marking the first day of operation for 2017's spring season on the City Sightseeing CS1 service, this vehicle has now entered service at Slaytford Depot.